The regional origin of the song “Silent Night” is in the town of Oberndorf near the Mozart city Salzburg. The history of the town has been strongly influenced by the song and the story of its creation. The romantic and noteworthy Silent Night Chapel (originally St. Nicholas Chapel) welcomes silent visits all year round. Oberndorf is enclosed by a fairytale-like landscape and its numerous hiking and bike paths offer many options for relaxation and nature experiences. 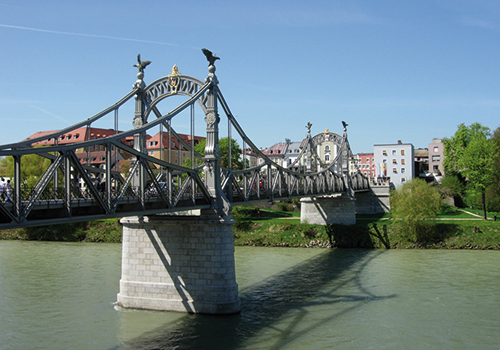 Its proximity to Salzburg (20 km) also enables access to a variety of high-quality cultural events. With this attractive and multifaceted range of leisure activities, Oberndorf is the ideal vacation destination for those interested in culture, nature lovers and families alike.